Add a wow factor to your outdoor living space with this stunning side table. 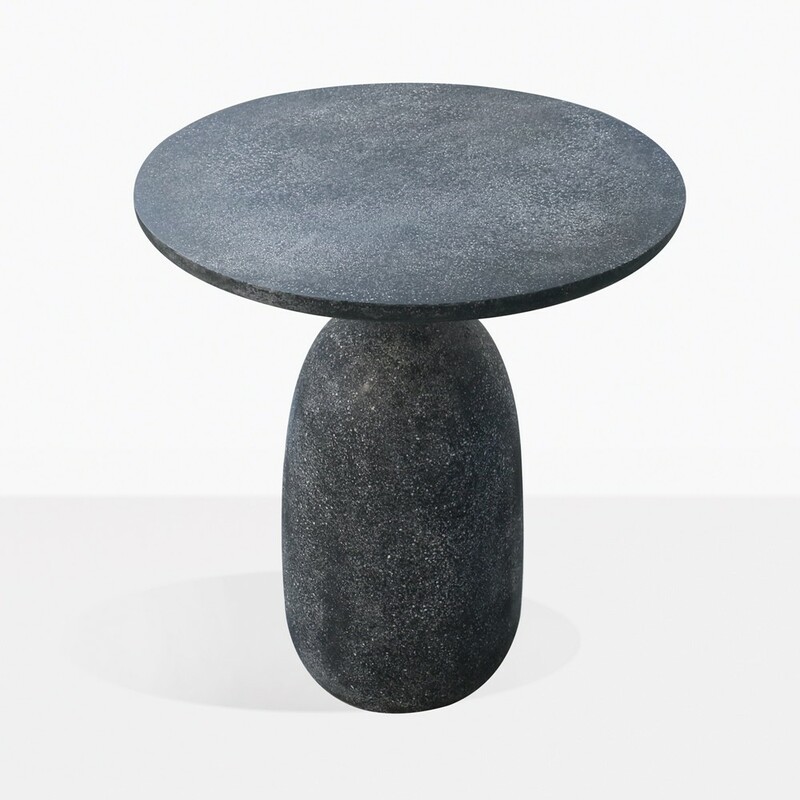 The Mossimo Side Table in Black Concrete is unlike any side table you have seen before. It has a striking modern shape and silhouette. It is made with a concrete and fiberglass blend, and a steel pole connects the base and the tabletop. It has a good solid weight, making it sturdy and durable. The concrete has a smooth texture that is sleek, yet still has a rough industrial vibe. The concrete is black, but upon closer inspection there are specs of grey throughout that add to the overall design and feel. 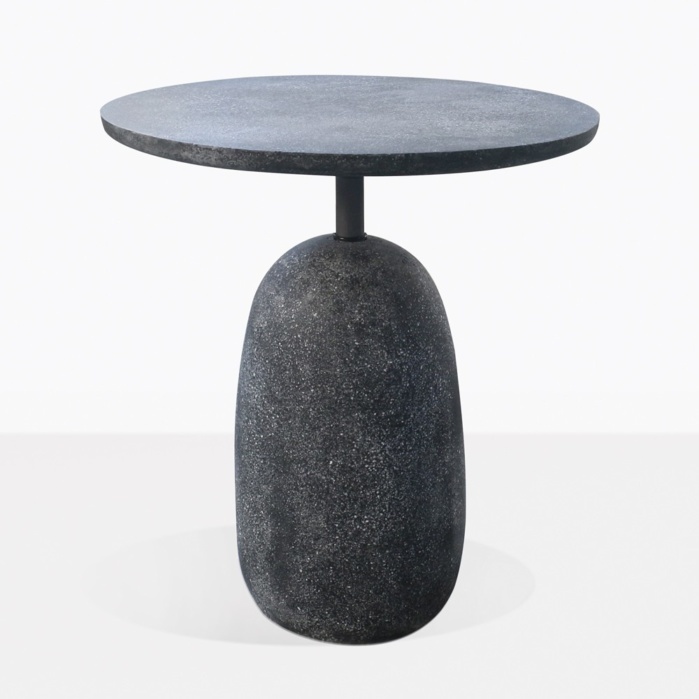 For more details about the Mossimo Side Table please call or email us today!